According to a research paper published by the Australian Research Centre for Population Oral Health that studied statistics from 2004-2006, those who avoided dental care often did so due to the high cost. Those who avoided regular dental care were reportedly 3.7 times more likely to have needed a tooth extraction. If you’re among these people, taking a medical trip for fixed dentures in Thailand could be a smart choice. If planning a trip to get dental implant dentures in Thailand, it may be beneficial for you to understand the steps of the procedure before flying all the way down to the sun-kissed Asian country. The first step is an assessment of the overall health of your mouth. Your dental professional will go over things like existing medical conditions, in addition to checking for gum disease and any problem teeth. Your dentist will then map your jawbone, taking any impressions as needed so that the lab can begin creating your fixed dentures. In the next step, your dentist will fit your dentures and place your dental implants. When this is complete, your final fixed dentures will be attached to the implants. Once complete, make sure your bite is correct and that your gums have healed properly. Slight discomfort is expected but if you feel any major irritation in your oral tissues, let your dentist know immediately. 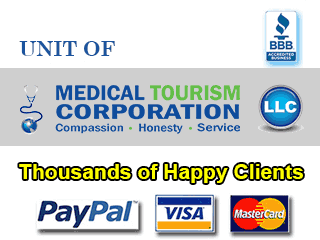 Thailand is an excellent choice for people looking for low-cost yet good-quality medical care. Fixed denture prices in Thailand are much more affordable than in Australia, England, Scotland, and other European and American countries, where a small dental implant may upset one’s quarterly-budget. According to an article published by the World Health Organization entitled “The Effect of Medical Tourism: Thailand’s Experience,” Thailand, Singapore, and India make up 90% of the medical tourism market and as such have continually invested in improving health-care infrastructure to meet the rising demand, meaning improved care for medical travelers. You will find plenty of well appointed dental implant centers in Thailand to choose from. The growing trend of foreigners visiting Thailand for dental work means that you’ll be receiving care from dental professionals who have a lot of experience. These dentists have also gone through rigorous training and many of them have international experience. Thailand is a beautiful country with a tropical climate and an interesting culture. With the savings you gain from the low cost of implant dentures in Thailand, you can easily stay longer and enjoy the tourist offerings of the country. As you begin to plan for your trip for fixed dentures in Bangkok, Thailand, there are a few things that might be helpful to know. If you’re traveling to Thailand from Australia and will be staying for less than 30 days, you don’t need to obtain a visa and will only need your Australian passport. Local time in Thailand is three hours behind Australian Eastern Standard Time, so plan any appointments and activities accordingly. Before you make the trip to get your dental implant dentures in Thailand, you can ask for online quotes to choose the best bargain. Thailand has a tropical climate, so you can expect warm temperatures from around 82 to 95°F for most part of the year. Temperatures are at their highest from March to June when they can reach up to 104°F in certain parts of Thailand, so make sure to pack appropriately. With a beautiful atmosphere and culture in addition to low prices and quality dentists, trips to Thailand can be ideal for anyone as near as Australia or as distant as the US. Bangkok’s international airport, Suvarnabhumi Airport (Airport Code: BKK). This airport is located just 19 miles east of Bangkok. Phuket International Airport (Airport Code: HKT) is just north of the island. You can find frequent flights from Phuket to Bangkok. Dental care is an important aspect to overall health, and you shouldn’t have to wait for care or suffer from pain any longer. By choosing to make the trip for fixed dentures in Thailand, you can receive great care at an affordable price. Submit the free quote request form on the right for more information on Fixed Dentures in Thailand.